Drug abuse of painkillers can cause harmful effects on the brain and body of the person using the substance. Painkillers can refer to a number of both over-the-counter (OTC), prescription and illicit drugs, but more often than not related to narcotic painkillers like Percocet, OxyContin and heroin. It is these narcotic painkillers that carry the highest risk of dependency and addiction. Whether a painkiller is prescribed by a doctor or acquired on the street, these drugs can cause serious changes to the brain and body of the user. Although some damage can occur with short-term drug use, the most extreme or dangerous changes to the brain and body typically occur with long-term use and abuse of painkillers. Long-term use also increases the possibility of addiction and physical dependency on the drugs. After a while, users need these drugs just to keep away physical withdrawal symptoms and to physically feel normal. Painkillers are the second most abuse substances in the United States, ranking behind only marijuana use. Painkillers work by blocking the brain’s perception of pain by binding to opiate receptors. This interferes with the signals transmitted by the central nervous system to the brain. Narcotic pain relievers are depressants, meaning they have a depressant effect on the central nervous system and decrease the feeling of pain while increasing a feeling of relaxation. By binding to the opiate receptors, painkillers also cause feelings of euphoria. It is these euphoric feelings that are often associated with painkiller use and the “high” that users get when abusing painkillers. Narcotic painkillers bind to opiate receptors which are typically bound by special hormones called neurotransmitters. When painkillers are used for a long period of time, the body slows down production of these natural chemicals and makes the body less effective in relieving pain naturally. That is because narcotic painkillers fool the body into thinking it has already produced enough chemicals as there becomes an overabundance of these neurotransmitters in the body. Existing neurotransmitters have nothing to bind with, as the drugs have taken their place on the opiate receptors. Because of this occurrence, the levels of naturally occurring neurotransmitters in the body decreases and the body builds an increased tolerance to the painkillers so more of the substance is needed to produce the same effect. Many of the neurotransmitters that are decreased include natural endorphins that are considered feel-good chemicals in the brain that also help with pain. Therefore, chemical dependency increases and likelihood of addiction increases as the body is unable to produce the natural chemical needed to relieve pain. Neurotransmitters are necessary to send signals between the nerves to complete the brain and body connections. Although painkillers take the place of neurotransmitters on the opiate receptors, they cannot fill all of the neurotransmitters roles. Painkillers also depress the central nervous system, meaning the brain and the nerves, leading to slower breathing, slurred speech, and slower bodily reactions. Painkiller physical dependency often comes after prolonged use and abuse of the drug, but consistent daily use of painkillers over a period of several straight days can also cause a physical addiction. Once someone is physically addicted to painkillers, they will experience extreme physical withdrawal symptoms once they stop taking painkillers. These physical symptoms can occur as soon as 4-6 hours after last use. Physical withdrawal symptoms can include: agitation, restlessness, hot and cold sweats, nausea and vomiting, muscle aches, irritability, headaches, sleeplessness, bone and joint pain, emotional instability, depression and basically like the worst flu ever multiplied by one hundred. Often simply this fear of the pain of withdrawal will keep an addict using for years past the point where they’ve recognized a drug problem and a need to stop. Painkillers cause chemical changes to the brain and also kills brain cells. The most affected areas of the brain are those areas that deal with cognition, learning and memory. 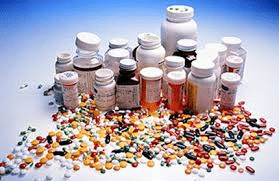 Painkiller use and abuse also can affect nerve cells. Additionally, based on the manner in which the drug is used, painkiller abuse can cause long-term heart damage and increase the likelihood of a heart attack. Crushing and snorting the drug can cause damage to the nose and lungs and crushing and injecting the drug increases the risk of infection. If you or someone you know is suffering from painkiller addiction and needs treatment please call us for help. Maryland Addiction Recovery Center offers the most comprehensive addiction treatment in the area. If we aren’t the best fit, we will work with you to find a treatment center that fits your needs, please call us at (410) 773-0500 or email our team at info@marylandaddictionrecovery.com. For more information on all of our alcohol and addiction treatment services and resources, please visit the web site at www.marylandaddictionrecovery.com.